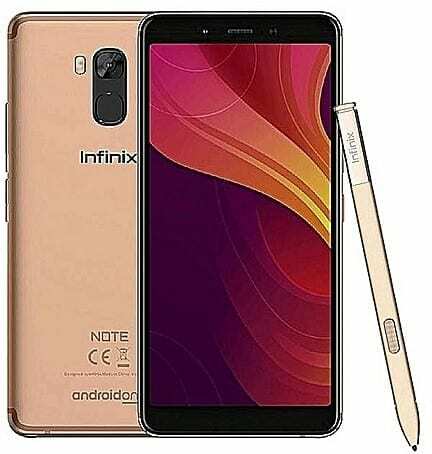 Following in the same fashion as the Note series there is a Pro version to this year’s Note smartphone and it is the Infinix Note 5 Pro and it does come with a Stylus. The smartphone is basically almost the same features as the except for the larger RAM size, storage space and other little additions. Apart from being a big screen smartphone, the smartphone also has an impressive spec sheet from the camera down to the hardware. The Infinix Note 5 Pro is a mid-range smartphone, you may prefer the more premium Infinix Zero 5 and Infinix Zero 5 Pro. If you find it a bit beyond your budget, the Infinix Hot 6 and Infinix Hot 6 Pro may be better options for you. Checking out the construct on the Infinix Note 5 Pro, the design is seen to be premium but the build is somewhat budget. Bezels have been trimmed especially at the side making the smartphone almost bezel-less with much obvious ones at the top and bottom. The stylus is well hidden on the Infinix Note 5 Pro, click and it comes out of the plastic cased smartphone. On the rear panel, you’ll find a fingerprint sensor alongside the camera and flash arranged side by side while Android One is written at the bottom of the smartphone. 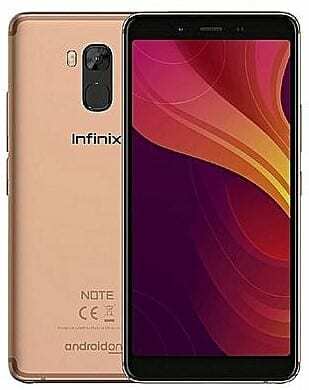 The front of the Infinix Note 5 Pro is home to a quite large screen which is to be poked by the stylus provided by Infinix. It offers the same screen resolution and size as the ordinary Note 5. Measuring up to 6.0-inch, the Infinix Note 5 Pro might not be the largest but it is a fairly big one and colourful too. Regarding resolution, there are 2160 x 1080 pixels which is pretty much impressive at the price. A sizeable number of smartphones already belong in the under 4, 000mAh category and considering you have a 4, 500mAh Li-ion battery on the Infinix Note 5 Pro you are bound to enjoy a decent on screen time. Infinix mobility has made fast charge available on the smartphone for convenience to reach full charge in lesser time. Selfie lovers will fancy the Infinix Note 5 Pro which comes with a better front camera than its predecessor. The rear camera houses a 12MP sensor which is capable of recording a 4k resolution video and takes decent pictures in low light. For selfies, there is an impressive 16MP camera with soft flash at your disposal with a wide-angle capability to take group selfies. Moving past the surface, there is a lower mid-tier SoC from widely popular cheap chipset maker – MediaTek. The type used here is a P-series Helio P23 processor which as you know usually has eight cores and it has a max speed of 2.0GHz. Also present is corresponding Mali-G71 GPU which is a recent tech in charge of graphics on the smartphone. The real difference between the pro and the normal model comes in terms of the RAM size and the storage space. Here, on the Infinix Note 5 Pro, there is 4GB RAM with a 64GB internal storage expandable to 256GB. Softly, there is a pure (Android One) Android 8.1 Oreo lacking the customary XUI. The Infinix Note 5 Pro is available at leading online stores in the country. Infinix Note 5 Pro price in Nigeria ranges from 69, 000 Naira to 90,000 Naira, depending on the deal and your location.